Azer Clinic strives to help every customer achieve wellness better and faster. Our high-quality services are affordable and insurance friendly. From the moment you walk through the door, you’ll know you are in good hands at Azer Clinic. 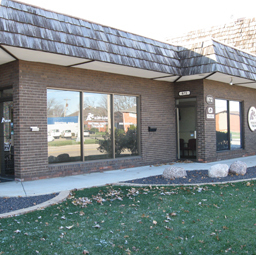 Azer Clinic in Galesburg, IL, restores people to wellness and improves physical stamina with highly-skilled therapists using advanced, state-of-the-art equipment and techniques. We offer a variety of quality treatment options for various conditions. Our personalized therapy will get you back to feeling like new again. This form of therapy is a skilled treatment to help individuals gain independence after an injury, illness, or disease. Our speech pathologists specialize in the treatment of various disorders and work hard to help individuals improve speech and language skills. At Azer Clinic, we have the most sought after clinicians on staff. Our therapists have spent countless hours receiving additional training to learn the newest techniques. 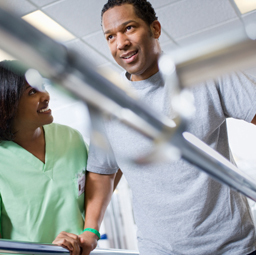 We have equipment in our outpatient clinics and long term care facilities that is unique to our area. We offer free pick up and drop off van service as well as early and late hours to accommodate our patients’ varied schedules. Our therapists are local people, heavily involved in the community and are passionate in providing you with the exceptional Azer therapy experience. Azer Health is a dynamic group of companies with over 30 years of experience dedicated to wellness. The company is built on a competent and educated staff who monitor, direct, and implement appropriate services for a positive result. Want to work with an amazing staff at Azer Clinic? Check out our open positions.